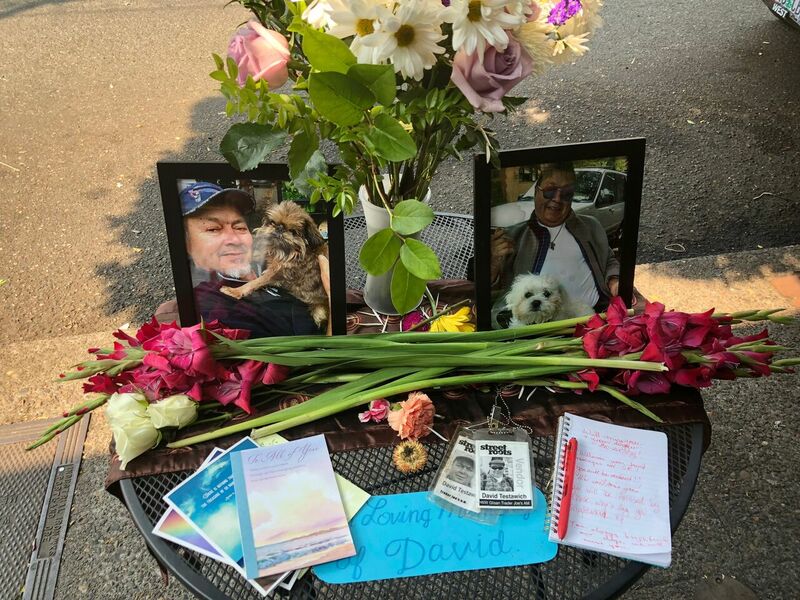 Street Roots vendor David Testawich died in August 2018. The memorial outside Trader Joe’s on Glisan Street for David Testawich, a Street Roots vendor who died earlier in the week. I had known Dave over 15 years, and it truly saddens me knowing he is no longer with us. I miss being able to take him coffee and visit at Trader Joe’s. I never stayed long, but I always felt better after talking with him. Dave was one of those rare people that just made you happy to be around. If you ever bought a Street Roots from him, you would see the little message he wrote on the corner of the front page. It wasn’t so much what it said as it showed he took that moment to brighten someone else’s day just a little. That was Dave, the true definition of the Golden Rule. Thanks, Dave, for the opportunity to know and call you my friend. Rest in peace. In memoriam: Remembering vendors and friends we lost this year.